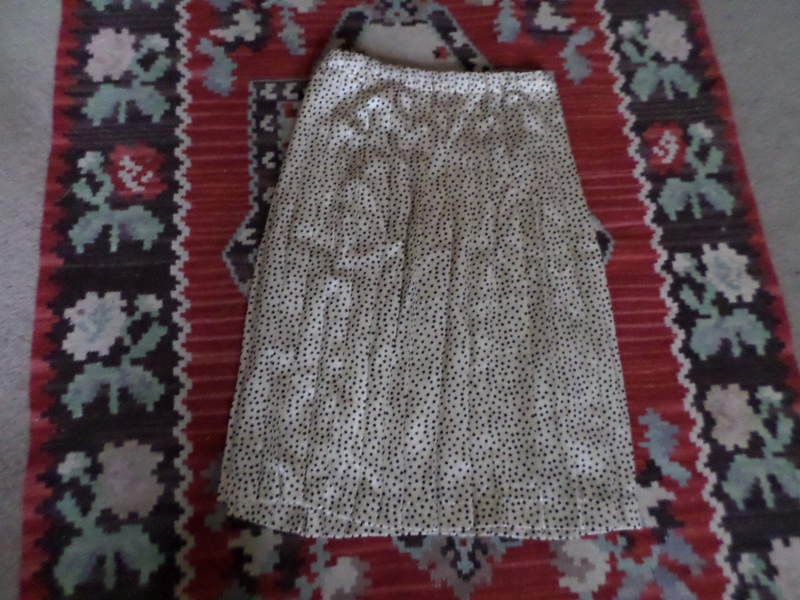 A while ago, a neighbor gave me some unwanted old clothes including a dotted silk pleated skirt. It wasn’t really my style, but I thought it would make a terrific basic blouse. 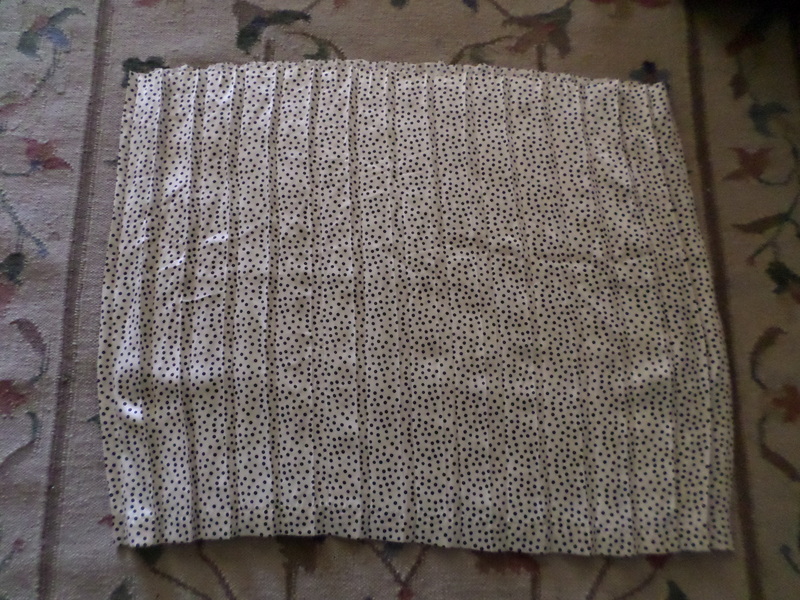 First, I cut off the waistband, and cut at the side seams to give me two pieces of material to work with. I decided not to use the pleats and ironed the fabric flat. I had previously printed out a very basic free pattern called Port Elizabeth with cap sleeves and no closures. 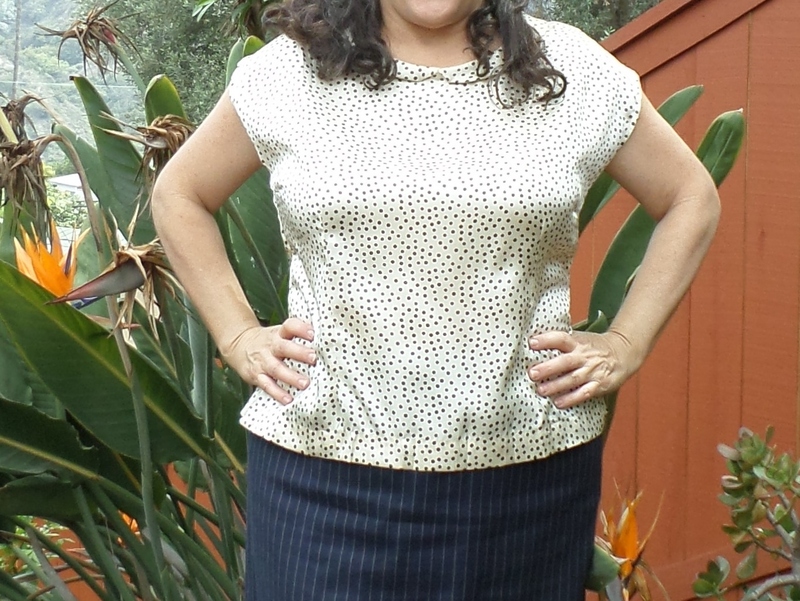 Although the top is boxy, I saw a version with shaping bust and waist darts added that I used for inspiration. 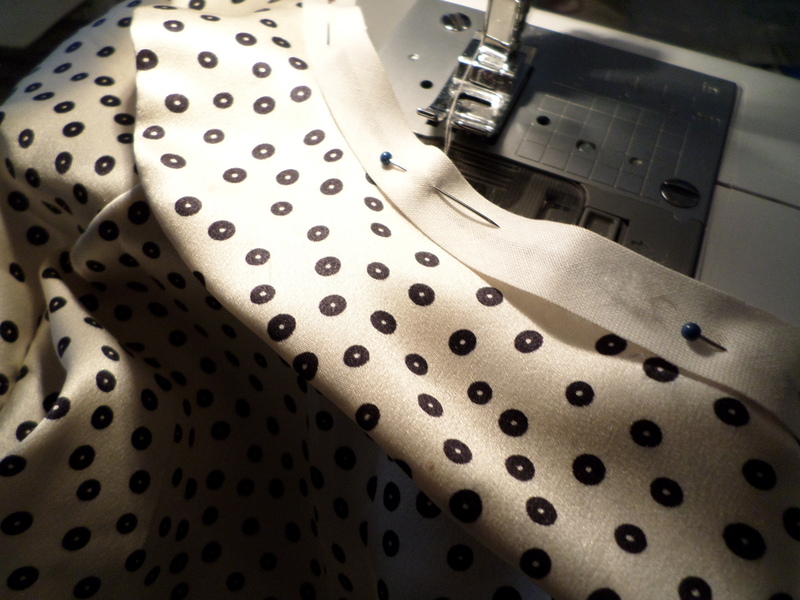 My blouse seemed to have plenty of ease until I sat down, which caused me to realize I have never thought about checking the “sitting fit” of a garment I’m making, and need to remember to do so in the future! I decided I wanted to add a collar. 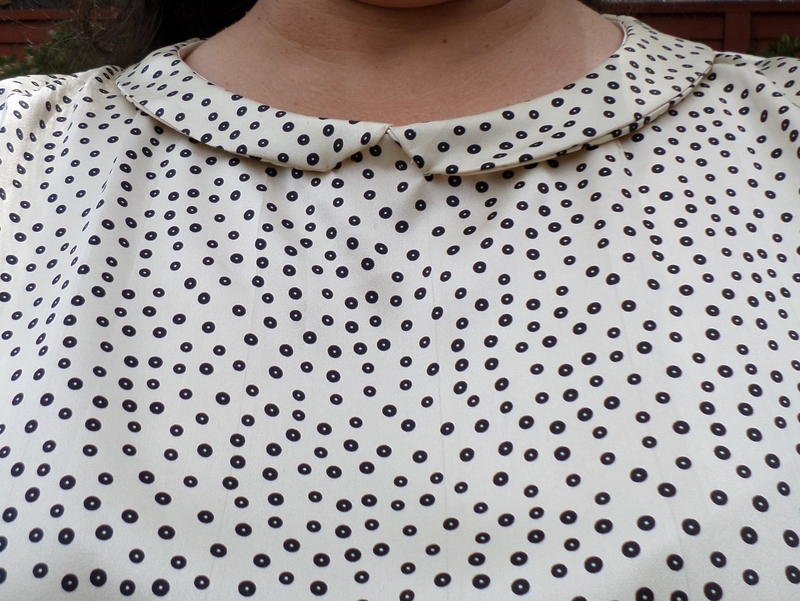 I considered a collar with a long tie, but had limited fabric left over so I drafted a peter pan collar. Of the three types of collars: flat, rolled, and standing, a peter pan collar is classified as a flat collar. As usual, I consulted books and online tutorials to understand the process. I cut four curved pieces, added woven fusible interfacing to the underside, and then sewed the top and underside parts of the collar together, turned, and connected the two halves at the back of the neck. 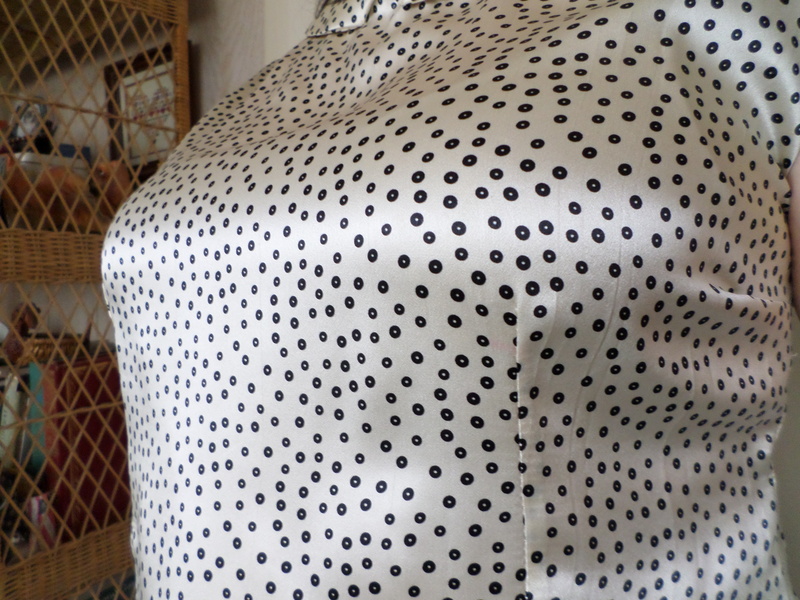 I attached it to the right side of the blouse like in this Megan Nielsen tutorial. 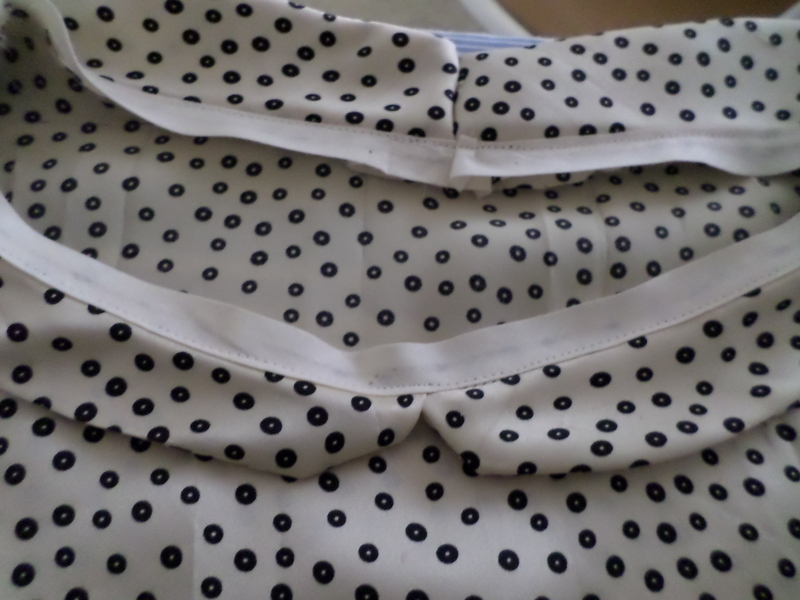 Since I wasn’t using facing, I sewed bias tape on top of the collar and then turned under and hand tacked it. My collar is a little too small and lopsided, and the seam is showing, but I like it. I didn’t have any problems sewing with silk, but the cut edges became messy and unraveled, so good seam finishing is necessary. 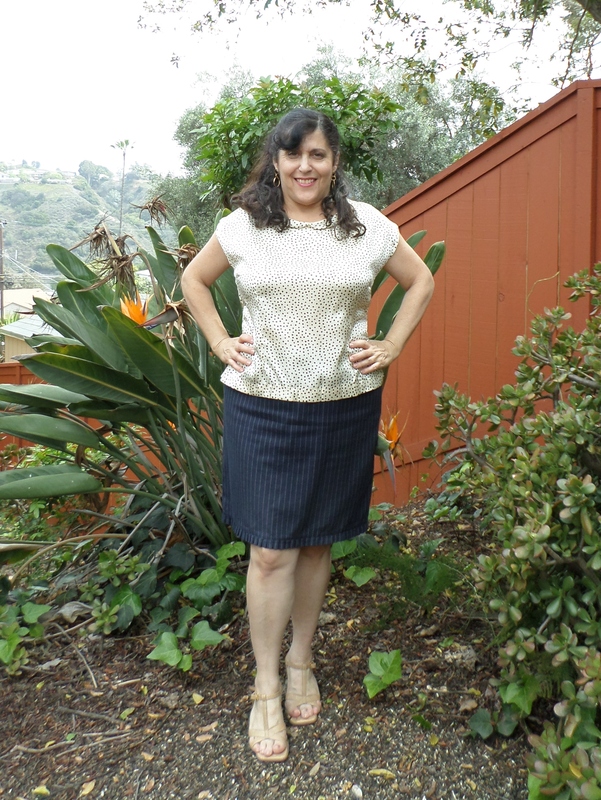 This entry was posted in Refashions, Sewing and tagged free cap sleeve blouse pattern, Megan Nielsen collar tutorial, Port Elizabeth Top on April 28, 2014 by Stitch It Again.